“We want people to be conscious of what they are throwing in the bin,” Mr Itaoui said. “That’s the whole idea behind our technology. “What this technology will do, is stop it going into landfill from the get-go,” Ms Findley said. “Every council is looking at ways to manage their red-lid bins,” Mr Itaoui said. 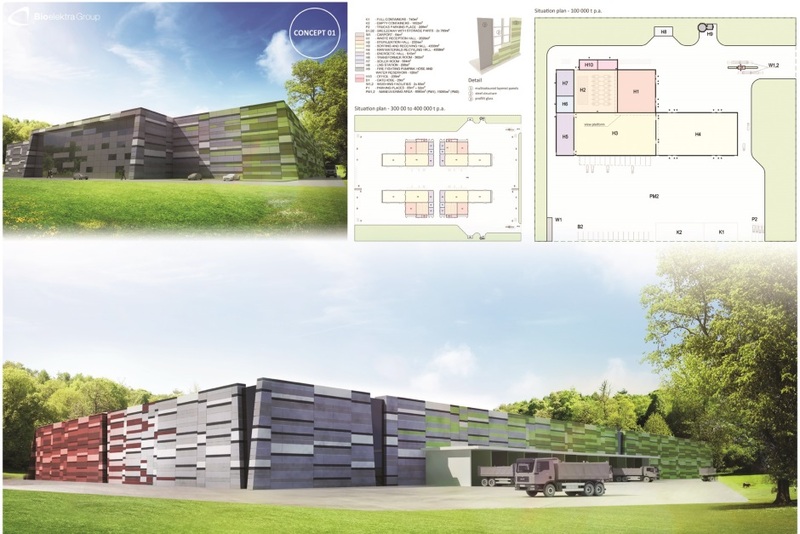 The concept design for the new recycling facility in West Nowra. The facility’s interior has just one “dirty area” before the waste is put into vats to be dried and chemically treated. “It’s more like a lab than a recycle facility,” Mr Paca said. Next articleNew recycling cans for Fletcher?